The inclusion of a knowledge base on your website was never this important! As a customer waits for your reply, he might sneak in to check if your website has already answered his query. Not being able to find an answer might prompt him to create another support ticket stating something like “please improve your documentation”! The best website is the ones which answer as many customer queries as possible outside the tickets. For the ‘what and why’ of a knowledge base plugin, check out this article on The ABC of Customer Support Knowledge Base. In this article, I shall introduce a number of ways of including a knowledge base on your website. Unlike any other functionality, knowledge base plugins are relatively few. But, fortunately, there are knowledge base themes to compensate this number. There are certain pros and cons of using a knowledge base theme instead of a plugin, that too shall be discussed here. Here’s a list of free plugins which are simple and easy to use. This plugin would allow you to create a sortable and searchable table containing all your site’s posts. Simply adding the shortcode [posts_data_table] would create the table. The table, by default, shows the following fields – Title, Description, Author, Date, and Category. On Clicking on the ‘Author’ name, list of all the articles by the particular author would show up. Similarly, on clicking a ‘Category’ name, a list of all articles under the particular category would be displayed. You further get a ‘Search’ option to let your customer get access to the right article. This plugin would allow you to create a list of posts based on categories in a page or even within a post. This plugin also works with shortcodes (most basic one – [catlist]). With 100,000+ active installs, this is one of the most robust and feature-rich WordPress plugins which comes at free of cost. This plugin offers a number of filters and customization option to display your desired list of posts. You can also display the post table as a widget. The product page has a huge list of shortcodes and code snippets in order to make this plugin suitable for your purpose. For instance, you can even have control over which post to show and which not to. In addition to most of the features available in the above plugins, it has some additional elements. One worth mentioning a feature of this plugin is that it can also display the posts in collapsible and scrollable format. Thus, this plugin is also suitable for creating FAQs from posts. As the name suggests, it’s a plugin specifically meant to create knowledge bases. Thus, would probably create a knowledge base the way you actually want (having the typical knowledge base like view). Some worth mentioning characteristics of this plugin are – you can choose to show comments in the knowledge base articles, drag & drop feature for the ordering of categories and posts etc. This plugin can create an elegant looking knowledge base for your website. This plugin can create up to 3 levels of categories and sub-categories. You get some control over the ordering of the articles. In order to gain more control and features, you can purchase any of the available addons. For instance, with the Multiple Knowledge Bases addon, you can have separate knowledge bases for each of your products/services. For some more advanced functionalities, you can try the following plugins. This is the premium version of the Post Table with Search & Sort. It offers a wide range of advanced functionalities. The pro version is basically stacked with more flexibility, filters etc. You can show columns for images, tags, thus, making it more useful for the customers who are trying to find answers to their queries. This is the premium version of the Content Views – Post Grid & List for WordPress plugin. 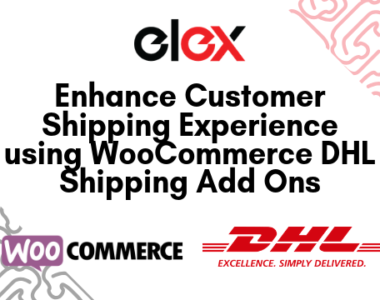 The pro version has support for WooCommerce, EDD and a number of other extensions, making the searches more extensive and useful. Just like most of the premium versions, it offers more customization option (drag & drop feature). Social Sharing options in the prost grid! Moreover, you can choose to display adds in the post grid, whether through Google Adsense or HTML banners. The best thing about this plugin is that, it offers out of the box integration with all the ‘twenty series’ WooCommerce themes. This is probably one of the most widely used knowledge base plugin and is used by a number of top sites like pagely, ghost, crazyegg etc. The price might look somewhat overwhelming, but this plugin is much more than just a knowledge base tool. It offers a customer feedback system and an analytics tool. These two tools would allow you to gather and analyze the complete customer data like which article are they finding most useful and what are they searching for. This is the best-selling knowledge base plugin in codecanyon, though not best rated. This too has the option for the user to give feedback to the usefulness of the article. The look and feel of the knowledge base is finetuned and fits well with any helpdesk theme or twenty series themes. If you are looking for an affordable solution over the all powerful Heroic plugin, then you can give this one a try. This theme is a product from hero themes (maker of Heroic knowledge base plugin). Basically, you get a theme and a knowledge base at $69! Not a bad deal, right? Plus, you would be saved from the efforts of trying to customize your knowledge base to suit your theme. Another knowledge base theme from hero themes. Though both HelpGuru and Knowhow are from Hero themes, yet there’s a number of major differences between the two. Flatbase offers one-click demo install. That makes it easy to use. Flatbase is compatible with Contact Form 7 and bbPress. Thus, with this theme, you can easily create a query submit the form. Your customers would also be allowed to like the article which they found useful. One distinguishing feature of this plugin is that, it can display the time required to read each article. If you are a WSDesk user, you must be aware that WSDesk has an internal knowledge base system. Sure, it’s not as feature rich as the individual plugins, but is a much convenient solution for your customers who are about to raise tickets. The moment they start typing the title of their ticket, they would be greeted with a list of related articles and if any of those article answers their queries, they would no longer create a ticket. Thus, saving your time and simultaneously leaving your customers satisfied. Top helpdesk plugin like Zendesk, Helpscout also have integrated knowledge base. But, such cloud-based services would host all your knowledge base articles in subdomains which has its own risks and cons. If you are looking for a free solution, the free knowledge base plugins are good options. To some extent, they would be enough to allow you customer self-service. If you are providing a proper customer support through a ticketing system, then the free knowledge base solution would be good enough. But, if you are looking forward to creating a complete support system and support is at the top of your mind. For instance, you are selling services. In such case, knowledge base theme would be the preferable option provided you can compromise of your site’s look because, knowledge base themes won’t be as customizable and design friendly as usual WordPress themes.